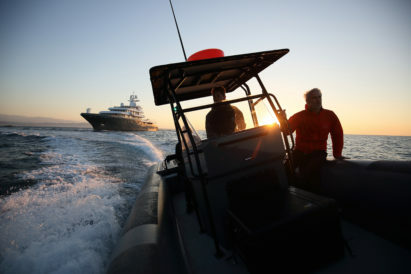 The beauty of some superyachts can be found in their engineering; pioneering technical approaches and innovative mechanical solutions that push these vessels away from the floating crowd. 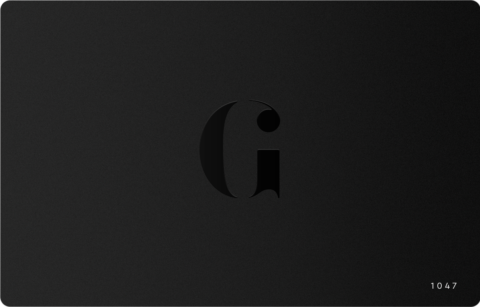 The beauty of others can be found in their peerless design and striking signature styling. And then, there are those that combine the two. Enter Irisha. 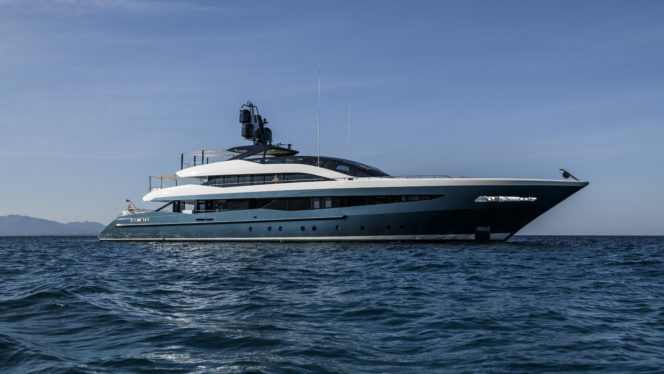 A 51-metre custom motor yacht, this British-designed vessel is the pinnacle of boat-building — bringing together the best in engineering, while pushing the envelope in nautical design. 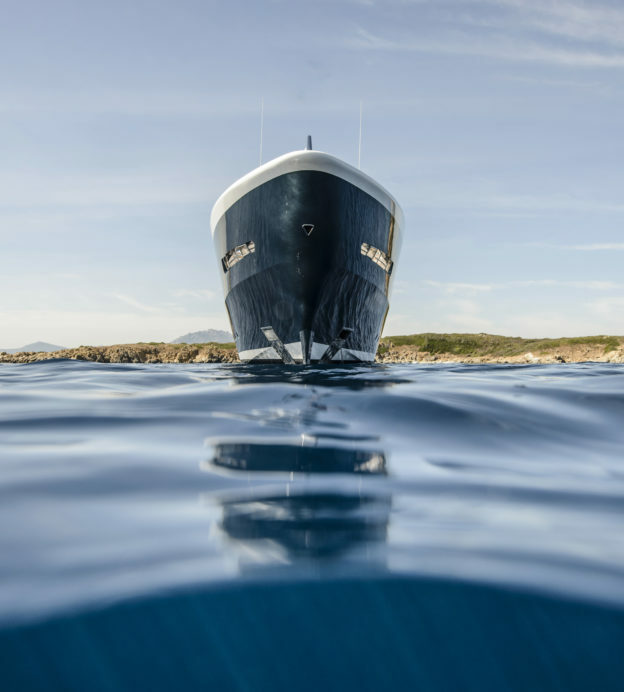 She was designed by Harrison Eidsgaard, a British studio who followed the owner’s desire for something ‘fairly aggressive and dynamic’ to build this radical vessel. 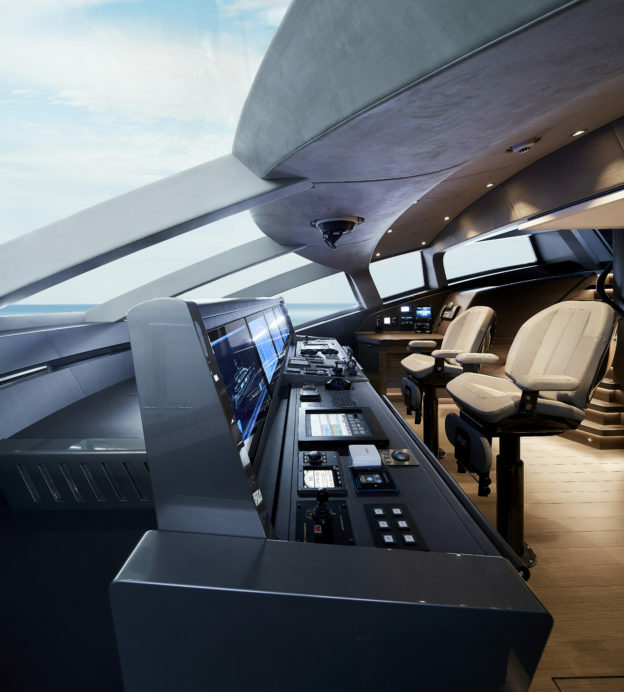 The curved glass sheets used to create the iconic raised wheelhouse are a triumph of engineering. 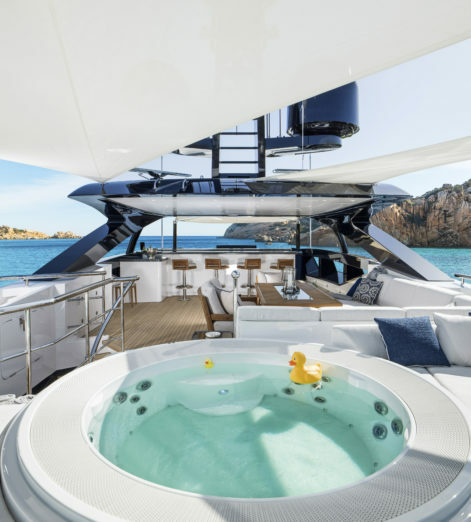 These sheets, among the largest produced in Europe, house the helm underneath a chemically-hardened glass compound at the cutting edge of yacht design. And the innovation doesn’t end there. Despite being Harrison Eidsgaard’s first project to combine both interior and exterior design, the studio has been brave in their vision. The main deck layout, for example, features a cockpit that is both an outdoor living room and a winter garden. It’s an area both heated and cooled with separate air conditioning systems, and one that also boasts large sliding glass doors to change just how ‘outside’ the space is. 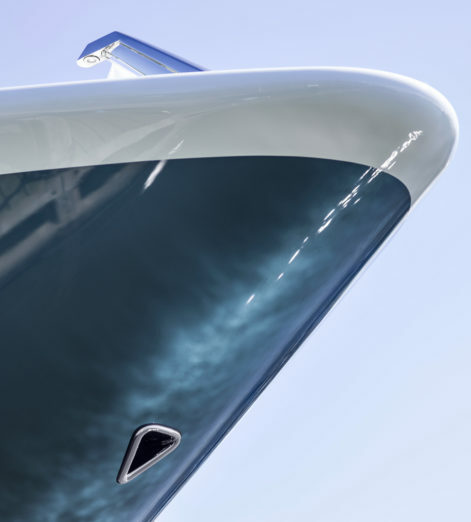 Cladding the yacht, full-length panels of tinted glass — rendered in three colours created by Ales Seal — cover the unique hidden aluminium structure. 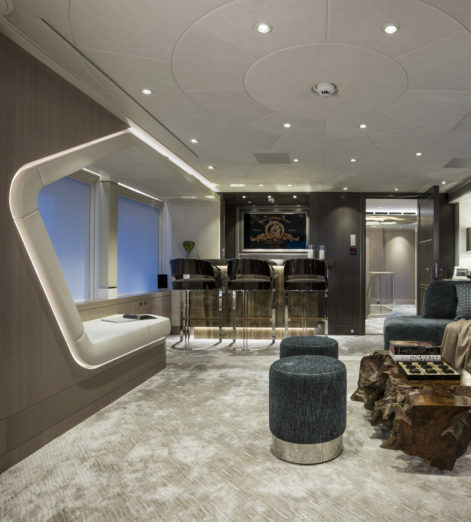 And, inside, Irisha has four well-appointed guest staterooms on the lower deck, including a pair that can be transformed into a full-beam VIP cabin. This contemporary interior is simply-designed, and all the sleeker for it. A palette of neutral greys and beiges contrast with subtly-applied textures, and cool bands of stainless steel highlight the straight grain joinery. The innovation continues in the smaller touches, too. 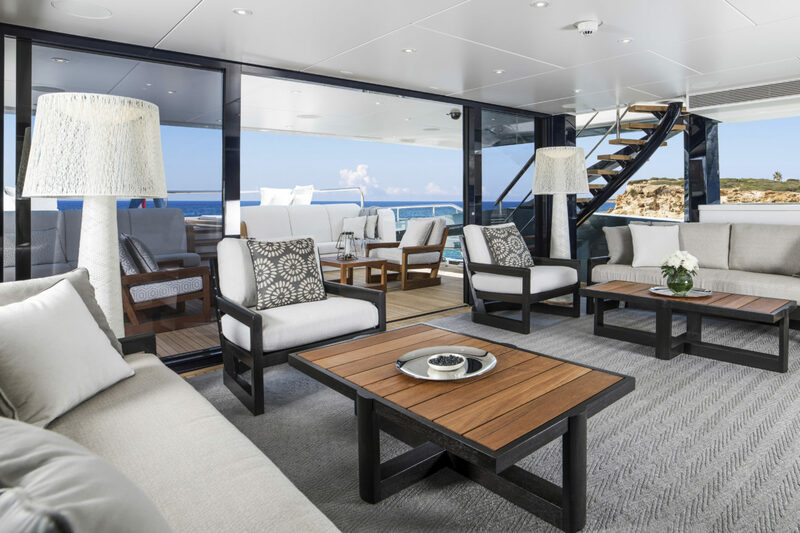 On the main deck, a built-in bench seat is protected by a hydraulically driven canopy that creates a wind-sheltered outdoor space ideal for relaxing. 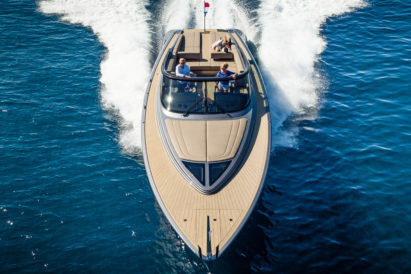 And, at the rear, a fold-out stern door makes it easy to launch the Compass tender and transforms into a superyacht beach club simultaneously. Irisha is nothing if not confident in her innovation. 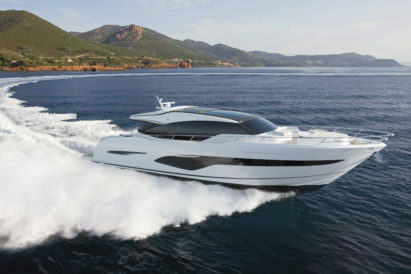 And, from her pioneering mechanical quirks to the bold, brave design style, she is truly making waves on the high seas.